TA Instruments is the world’s leading supplier of TGA instruments. The TGA 550 not only outperforms competitive top tier systems, but also gives users the flexibility to add advanced features like Hi-ResTM TGA, MTGATM, DTA signal, and our new 25-position autosampler. 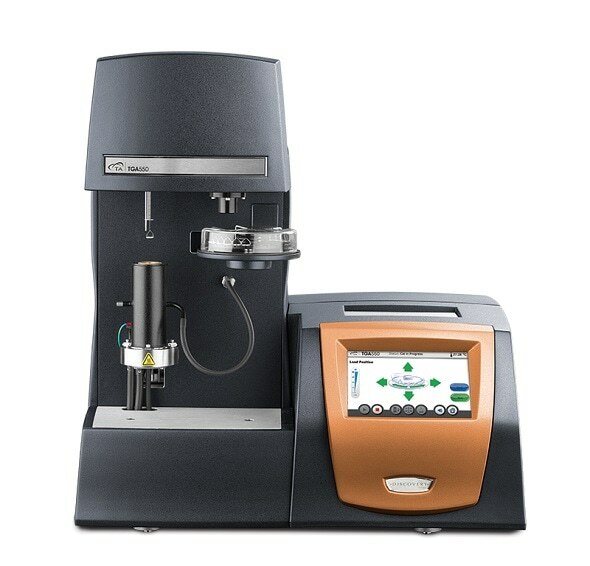 The performance, flexibility, and ease-of-use make this an excellent TGA for research and multi-user laboratories where a wide variety of TGA experiments are conducted, and where future expansion of analytical work is anticipated.